We offer a full line of quality insurance products to protect your assets and your family’s financial security. Our Redding individual insurance products include: Auto Insurance, Homeowners Insurance, Life Insurance, Personal Umbrella Insurance, and Specialty Insurance. We offer many insurance discounts, including: Young Driver Program for new drivers, multi-policy discounts (the more you bundle, the more you save), and our Affinity discounts for various professions, such as doctors, lawyers, and police officers. Our hands on, 24-hour claims service makes sure your claim is handled promptly and fairly. We track your claim from start to finish and provide the professional service you deserve. Get the right insurance for all your vehicles, whatever you drive, with Farmers’ complete coverage options. The weather in Redding, CA has been known to dish out the unexpected at times. What if a sudden hailstorm cracks your car’s windshield and leaves dents on the hood, roof and trunk? No problem! Our Comprehensive coverage can help when your car is damaged by something other than a collision. What if you suffer minor injuries when an uninsured driver runs a red light and clips your car? Uninsured motorist coverage can help with the costs of your bodily injuries, up to your policy limit, if caused by an at-fault driver without auto insurance or when an at-fault driver has some insurance, but not enough to cover your all of your damages. Let us personally review your car insurance coverage to identify any potential overlaps or gaps in coverage and uncover additional discounts you may qualify for to be sure you have the coverage that’s right for your needs. It’s all part of our personalized service. Request an Auto Insurance quote today. Your home is one of your biggest investments, so it’s important to choose the right coverage. One size does not fit all and having the minimum amount of insurance required by your lender probably won’t cover your home adequately. We have a full range of home coverages and products to choose from for a single home, condo, townhome, mobile and manufactured homes, and even investment or vacant properties. Let us help you select the best Farmers Smart Plan Home® coverage for your budget with our Standard, Enhanced, or Next Generation® packages. Your Farmers home policy includes benefits that can make coverage more affordable including Declining Deductibles®, Claims Free Discount®, and your premium never increases because of a claim if you’ve been claim-free with Farmers for five continuous years. And when you file a claim for functional damage, Farmers will also cover related cosmetic damage. There are several key factors we use to determine the best coverage for your needs, so talk to us at Kyle R Vowell Insurance to make sure your home insurance policy works for you and your family. There’s nothing more important than family, and we’re committed to helping you protect your family’s financial future. Let’s face it: life happens. And when tragedy strikes, life insurance can help lighten your family’s financial burden during their difficult time. We all have different needs, goals and financial considerations. That’s why our coverage comes in a variety of forms, with a range of features tailored to your unique situation. Ask about our three types of Farmers Life® coverage: Term Life, Whole Life, and Universal Life insurance to find a policy for your current needs. Farmers Accidental Death Insurance gives you an extra layer of just-in-case coverage to help supplement your existing life insurance policy. For example, if you travel frequently for your consulting business and you want additional coverage in case the unexpected happens while you’re away on business. Accidental Death Insurance coverage can be fast and easy to obtain if you’re between 18 and 69. No exams, lab tests, health questions, or waiting period. Whether your family is young and growing, you’re more established in life, or if you’re single and don’t have children, we’ve got you covered! Request a Life Insurance quote today. Personal umbrella coverage provides additional liability coverage over and above the limits on your auto and other personal liability policies and is an affordable way to keep an extraordinary event from becoming a financial life-changer. For example, an umbrella policy can help when your auto insurance liability limits aren’t high enough to cover serious injuries, medical expenses, and lost income after a car accident. An umbrella policy can also help cover the cost of care when medical bills and other compensation exceed the limits of your homeowners policy after a guest in your home trips and falls. A standard umbrella policy provides additional liability coverage for your primary residence, two motorized vehicles, small sailboats, and motorboats with fewer than 50 horsepower. And you may wish to add optional umbrella coverage for other property and situations. Umbrella Insurance policies are the best and cheapest way to ensure your assets are covered in the event of a liability claim; $1 million of coverage can cost less than $1 a day! Request a Personal Umbrella Insurance quote today. Living in the heart of northern California is all about the outdoors lifestyle, so it makes sense to protect your leisure vehicles. 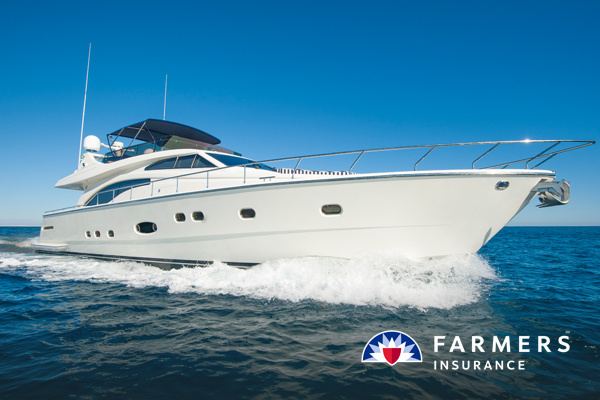 Recreational Vehicle Insurance can give you the right cover for your motorcycle, boat, and RV. We can create customizable coverage in the case of ice and freezing rain damages to your seasonal or vacation home or include Liability coverage to help with medical bills and time off work if you’re legally responsible for a guest’s injury. Replacement cost on personal property can help by replacing your damaged entertainment equipment with brand new components when lightning strikes close to your house at the lake and destroys a television and audio system. Let us guide you through choosing the best coverage for your boat (up to 50 feet), personal watercraft (such as Jet Skis®, Sea-Doos® and WaveRunners®), off-road vehicle (snow mobile, dirt bike, dune buggies, golf cart, ATVs), motor home, travel trailer, and 5th wheel. We take care of the coverage so you can get enjoy the Great Outdoors. Request a Specialty Insurance quote today. At Kyle R. Vowell's Insurance Agency in Redding, CA, we believe your hard work should be rewarded. We offer special preferred rates on home insurance and auto insurance for many professions; studies show that the same qualities which make a person dedicated to their community and profession are the same qualities that make them a better risk to insure as well as a good customer. You will not only receive special discounts, you will also receive superior customer service. Here at Kyle R. Vowell Insurance Agency in Redding, CA, it is our highest priority to ensure that all of your insurance needs are met to your satisfaction. We offer an annual Free Friendly Review to make sure that you are covered appropriately and that you are receiving all of the discounts available to you. Contact us for details and to make an appointment.